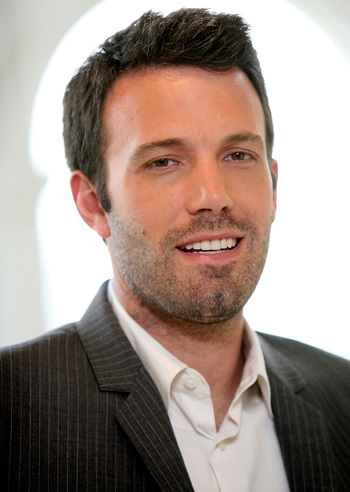 His career in a downward spiral Ben Affleck reinvigorated himself as a first class filmmaker with Gone Baby Gone, a crime mystery set in working class Boston that starred his brother Casey and a stellar supporting class. Proving his feat was not a fluke Affleck would follow with The Town, another Boston based crime thriller only this time Affleck was also in front of the screen. Both films prove Affleck to be a director with a keen sense for character and environment. His next film -the espionage thriller Argo- is awaited with gleeful anticipation. 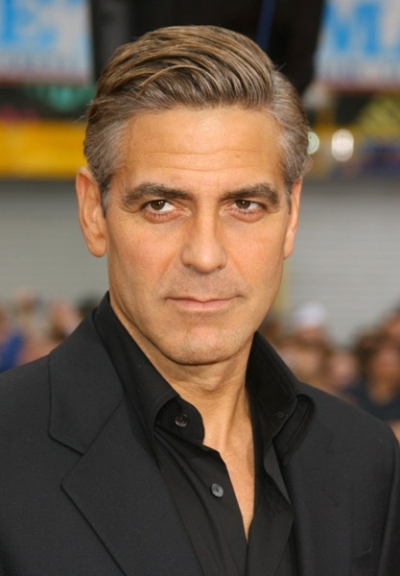 Hollywood player George Clooney surprised many with his directorial debut Confessions of a Dangerous Mind, yet it would be Good Night and Good Luck which made his reputation as a top class director while also wearing his liberal politics on his sleeve. Although his slapstick sports movie Leatherheads didn’t bode well with critics, Clooney bounced back considerably with The Ides of March once again using American politics as a backdrop for some fine dramatic filmmaking, proving Clooney is at his best behind the camera when he has something to say. 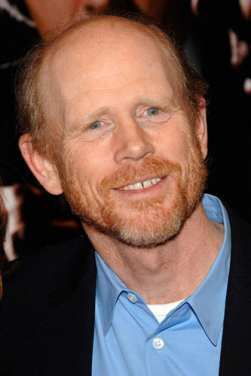 Former Happy Days and American Graffiti star Ron Howard’s directorial debut was the Roger Corman produced B-grade classic Grand Theft Auto, yet it wouldn’t take long for Howard to establish himself as one of America’s premiere directors. First came his string of ‘80s hits Splash, Cocoon and Parenthood, followed by a string of award winning dramas in Apollo 13, A Beautiful Mind (for which he won the Oscar) and Frost/Nixon. Although his work of late hasn’t been up to par, Howard’s next film Rush –a biopic of Formula 1 driver Niki Lauda – is sure to put him back on track. 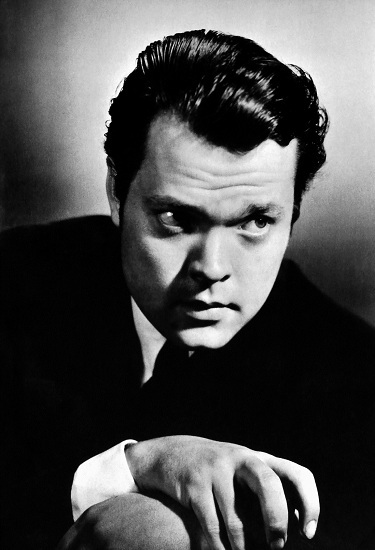 Writing, starring and directing a movie is a feat for any filmmaker, yet at 27 years of age Orson Welles did it all in what many consider the great film ever made, Citizen Kane. With an innovative eye and fearless determination, Welles went against the odds to make his film about a newspaper magnate whose rise power came at a personal cost. Welles would continue to direct feature film and TV productions, with the film noir Touch of Evil a beloved classic that opens with a startling 3 min tracking shot which still wows critics to this day. 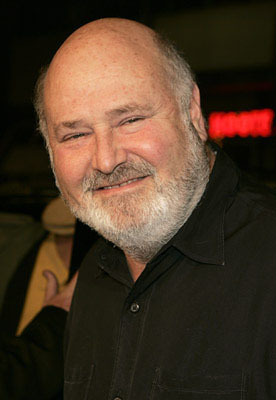 For one generation Rob Reiner was known as Michael “Meathead” Stivic in the controversial sitcom All in the Family. For another he is the man behind some of the most loved classic films of the 1980s. Although his first directing gigs were for TV, Reiner would make a name for himself with his first feature the hilarious mockumentary This Is Spinal Tap, which followed an aging heavy metal band on a disastrous tour of the US. Reiner would follow ...Spinal Tap with a succession of classic films including Stand By Me, The Princess Bride, When Harry Met Sally, Misery….only to completely loose his mojo and direct one sub-standard film after another. Hopefully one day Reiner will find that magic spark and start making great films again. 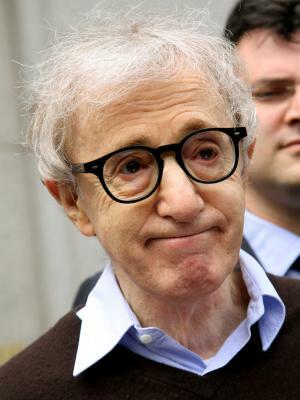 An institution upon himself, Woody Allen has directed and starred in some of the most iconic romantic comedies of our times, with the odd departure into darker territory. With films such as Annie Hall, Manhattan and Hannah and Her Sisters, Allen cornered the adult (as in mature) comedy spectrum that influenced filmmakers such as Wes Anderson and Noah Baumbach. Always playing a neurotic mess while on the screen, Allen has opted to appear less in front of the lens and has instead directed all-star ensembles to moderately successful results with clunkers such as Cassandra’s Dream followed by near masterpieces such as Midnight in Paris. Even at the age of 77, Allen shows no signs of slowing down with another film Nero Fiddled in post-production. With two directing Oscar under his belt, Clint Eastwood is the actor/director with the most hardware on this list. He also has the patchiest filmography, with a string of great films followed by another string of less impressive features. With his directorial debut Play Misty For Me scaring audiences half to death with its tale of an obsessed woman (Jessica Walter) who stalks a disk jockey (Eastwood playing the part for free), the Dirty Harry star proved he had the skills behind the camera. A diverse range of films from High Plains Drifter, Honkytonk Man and Bird kept his directing cred high, yet it would be the anti-western Unforgiven which stunned critics and won Eastwood the Oscar for best director and film, a feat he would repeat with his boxing drama Million Dollar Baby. 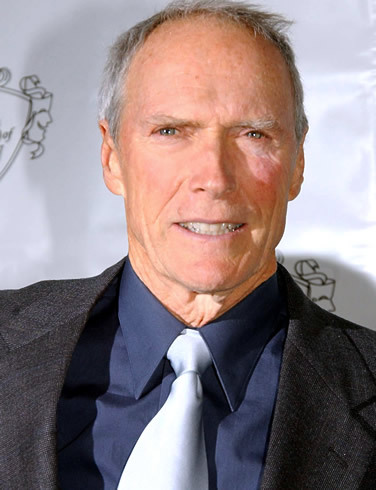 Even though stinkers such as Midnight in the Garden of Good and Evil and Herafter crept up time and again, Eastwood would continue to impress behind the lens with films such as Letters from Iwo Jima and Gran Torino. Notorious for the speed which he shoots his movies (often using one take to shoot a scene), Eastwood will no doubt continue to pump out films at a persistence pace. 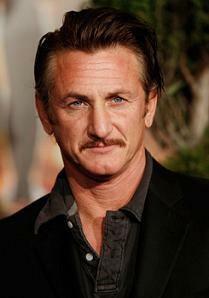 One of the finest actors of any generation, Sean Penn has also proven himself as one hell of a director able to draw career defining performances from his actors. His directorial debut The Indian Runner told the Cain and Abel-esque story of two brothers at odds with each other. The film introduced the acting talents of Viggo Mortensen and David Morse who both turn in astounding performances. Ditto Jack Nicholson in Penn’s two next films The Crossing Guard and The Pledge, movies which saw Nicholson step outside of his usual “Jack” persona and deliver turns worthy of the highest praise. And that is Penn’s greatest gift as a director: his ability to have his actors reach beyond their abilities and give us something unique and raw. Cue Into the Wild, Penn’s biography on doomed adventurer Chris McCandless who is portrayed by Emile Hirsch in a breathtaking turn. That Hirsch has not been able to deliver another performance remotely close to its calibre since proves Penn’s prowess as an actor’s director of the highest calibre. Penn’s next film is The Comedian starring Robert De Niro. Maybe Penn will inspire ol’ Bobby to tap into his long missing acting talent. 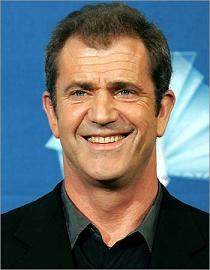 Mel Gibson has directed four films, each impeccably crafted and filled with Gibson’s passionate zeal for his subjects. Little is ever said of his directorial debut, the underrated and deeply sentimental The Man Without a Face which starred Gibson as a disfigured teacher who agrees to tutor a lonely young by (Nick Stahl). Yet such selective amnesia makes sense when delving into the rest of Gibson’s directing career. Braveheart was a tour de force in front and behind the lens for Gibson. Its story about the Scottish revolutionary William Wallace and his battle against English rule saw Gibson bring back the epic battle movie with a vengeance, with its battle cry rousing theatrics and action violence impressing many a critic and scoring Gibson Oscar wins for best director and best film. Yet it would be his next film which saw Gibson hit artistic and box office highs, yet reach critical lows. The Passion of the Christ was a film which no one believed would have any impact. Depicting the final 24 hours of Jesus Christ, the film was spoken in Latin and Aramaic and saw Gibson pour $25 million of his own dough to cover production costs. The results as well as the reaction was staggering, with Gibson reinvigorating the Biblical film with awe inspiring artistry and unflinching (some say grotesque) violence. While some unfairly criticised The Passion of the Christ as anti-Semitic (many of whom did not watch the film), Gibson’s bold and passionate depiction of Jesus’s crucifixion was a massive hit. Unfortunate off screen scandal clouded the release of Gibson’s next film Apocalyto, a Mayan set thriller that took its cue from The Passion… in its use of dead languages and hard violence. 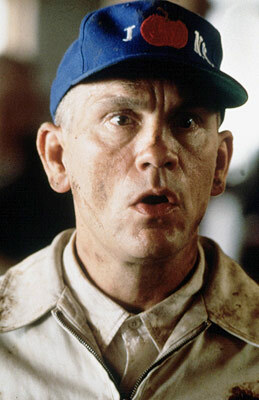 Yet critical response was much kinder, with many praising Gibson’s eye for period detail and action filmmaking beats. Once again Gibson’s personal life marred his creative side, with a proposed Viking film set to star Leonardo Di Caprio put on the shelf after another scandal. With the controversy now subsiding, hopefully Gibson can get this production back on track because a filmmaker this good does not deserve to be on the sidelines. 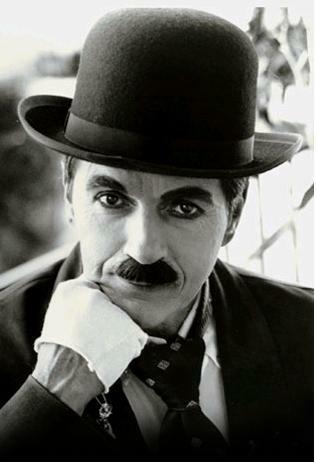 The word genius is one seldom used on this website, but in the case of Charlie Chaplin it is an accurate description. A director of many short films, it would be the feature length classic The Kid that saw Chaplin truly show his artistic brilliance as a performer and director, mixing the comedy and drama genres in the story of how Chaplin’s signature character “The Tramp” becomes the guardian of an orphaned boy (Jackie Coogan). Next came another comedy classic in The Gold Rush, where The Tramp goes in search for gold. In his pursuit for wealth he would find love as well. Chaplin declared The Gold Rush as the film for which he would like to be remembered, and it’s easy to see why with its blending of riotous physical comedy and heartbreaking romance. It was also the film which featured Chaplin’s infamous “bread roll” dance. Chaplin continued to make silent movies as “talkies” came into fashion, beating the odds and topping the box office with City Lights, which many declare to be Chaplin’s finest work as he weaved tender romance, socially relevant drama and physical comedy in the heartfelt story of The Tramp falling in love with a blind girl. Modern Times once again saw Chaplin defy the popularity of talkies and meld social commentary with his unique brand of dramedy, as The Tramp takes on the modern industrialised world which he blamed for the poor fiscal conditions of The Great Depression. Yet with his next film Chaplin yielded the power of the talking picture and upped his political commentary with The Great Dictator, a satire on Nazi Germany where Chaplin played a Nazi leader named Adenoid Hynkel (a parody of Adolf Hitler) and an unnamed Jewish barber. The film was both controversial and popular, and will go down in history as Chaplin’s last great masterpiece. The following 7 years saw Chaplin embroiled in personal and political scandal before he released his next film the dark comedy Monsieur Verdeoux. Even by then Chaplin’s legacy was written in stone. His innovative prowess both in front and behind the lens was phenomenal. Equally infamous was Chaplin’s perfectionist attitude towards his work, with the director demanding up to 100 takes to finally get a single sequence right due to his improvisational style (Chaplin never worked off a completed script) and obsessive nature. Although an immensely controversial figure off the screen, Chaplin will always be remembered first and foremost for his films. There will never be another like him.